Compared to letting drivers figure out where and how to park their vehicles, parking software helps commercial and residential building owners like you ease vehicular traffic, designate slots efficiently, and manage the corresponding fees accurately. But, since parking software is still a relatively new concept for some, you might find yourself wondering what technology is behind it, which you’ll get to know in further detail below. The commercial or residential complex that you own may have a parking lot, but it doesn’t mean that you should allow anyone to park there. You wouldn’t want vehicles driven by criminals on it, right? With parking software and its corresponding access control device, you can limit entries only to those who carry a credential such as hang tag, proximity card, or even their vehicle’s license plate assuming they’ve already had it registered to your database. 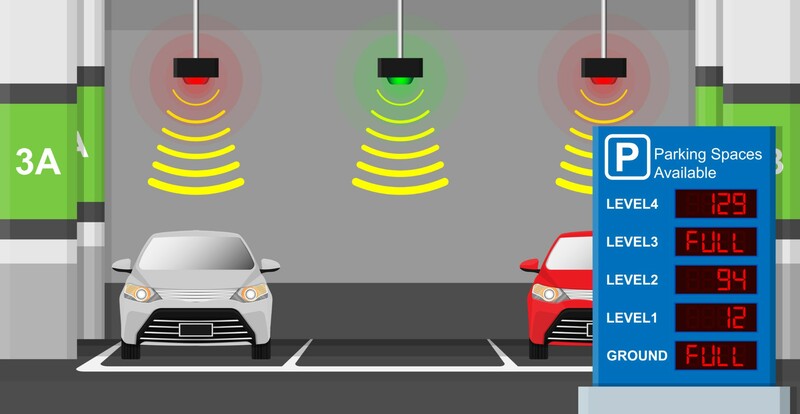 Once this software has successfully validated a driver’s credentials, it would then send a signal to the access control device whose barrier would automatically open, thus allowing them to enter your parking lot. A motorist dropping coins or inserting paper bills in a parking machine can consume several minutes which causes frustration to fellow drivers, especially if they haven’t prepared the exact amount needed for payment. Your business would also suffer as a result. Pay-by-phone wherein the parking software will send the fees incurred by a driver either via SMS or its equivalent consumer mobile app, thus allowing them to transact using only their phone and claim their ticket in your issuing machine. If you still use a telephone to accept reservations for specific slots and jot them all down in a log book, you’ll want to get along with the times and use parking software instead. All you need to do after installing it is to type the details and contact information of the driver who reserved a slot online as well as the license plate of their vehicle. You can also include any additional notes aside from the reservation details submitted by a driver as you see fit. How technology has changed and is changing? You may initially charge a flat rate for the use of your parking lot regardless of the time and the day. But once your business grows, you may eventually find out that charging different rates based on the time and the days might bring in more revenue. If you don’t have a parking software, you may end up collecting a flat rate per driver by mistake even if you’ve already switched to a variable one. This software allows you to have a smoother transition from a flat to a variable rate and vice versa. You can thus relax knowing that you’re charging the correct fees to any driver who uses your parking lot. You may also charge discounted rates to reward drivers who stay at your hotel for a certain number of nights or buy products from your shop regularly. Trying to account for those rates manually can take a bit of paperwork on your end as you still have to calculate the adjusted fees that patrons of your establishment should receive. If you have parking software, you can choose whether to set up discounts based on purchase amount, percentage, or time depending on the nature of your business. It’ll then compute your regular customers’ lowered rates so that you don’t have to resort to using a pen, paper, and calculator to do the same thing. In the US, a typical motorist spends an average of 17 hours each year searching for the perfect place to park. Unfortunately, the said number of hours is too high that some American motorists have left their vehicles at home to avoid running into parking issues. Using parking software for your commercial or residential building can address any of the various problems that motorists might encounter while finding a spot to park. It’ll help you have an awareness of the technology as discussed above so that you can appreciate it better before investing in it. Parking software makes it very easy for vehicle owners to avail parking space and park their vehicles. It also relives the ground staff maintaining the parking to accommodate and allot parking spaces without much of a hassle.